Before the Dunphys on Modern Family, there was another American clan which stole our hearts which we are betting had a more thrilling side to them then they let on. The Brady Bunch were as pure as they could get, but when it comes to putting a few bets on, we like to think the of age characters would have dabbled in their fair share of slots or table games. From Carol to Greg, to Alice to Mike, we take a look at what characters would play if they gambled, whether or not we think they would use a strategy and how sensible they would be in terms of a bankroll. But first we will give you a little background on the Brady Bunch, incase you missed out on the biggest thing to come from the 1970s. 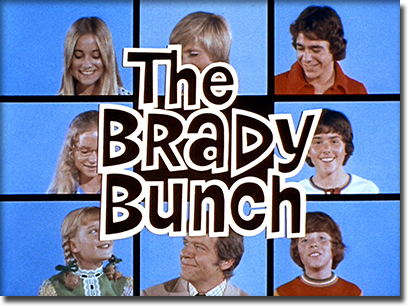 The Brady Bunch is one of the biggest American old-style family sitcoms and features two widows, Carol and Mike marrying. Carol had three daughters, Marcia, Jan, and Cindy, in her first marriage, while Mike had Greg, Peter, and Bobby in his first marriage. They live in a large suburban house with their house keeper Alice. The family are incredibly close, sometimes a little too close, and the main premise follows each of their lives and the obstacles they face. While they are very unique we still think they have another side which involves having a little fun at the casino. We’ve picked the of age characters and figured out exactly what we think they would be play upon a visit to Vegas. Carol is the mother to her three daughters and step mother to Mike’s three sons, so we can imagine she would like to take a break every now and then especially since her first husband also completely disappeared without an explanation, leaving her to raise her daughters on her own. Since she is a hard worker who has had it tough we can imagine she would love to win big. What better way to win big then on the progressive jackpot slots? The slots require little to no strategy and therefore do not need a lot of concentration, making them the perfect game to play after a hard day of running after six children. Additionally, she doesn’t want to waste time and bet small rather she wants to win big. Progressives see the jackpot increasing per player and can go quite quickly if it is connected to all online casinos which offer that progressive, but can also move quickly if it is casino specific (which means the jackpot only climbs by every player who is playing at that online casino). Although online progressives weren’t around then, we can imagine in this day and age Carol would have a few spins on Mega Moolah, The Hall of Gods, and more. Many also feature more than one jackpot, meaning more ways to win and with so many potential chances to score the big jackpot, we can see Carol regularly having a spin to try her luck and ultimately give Alice a rise. We’re assuming that Greg is of age to gamble in jurisdictions which allow 18 year olds to legally gamble (he can’t be much older than that as he is still in high school). Greg is the oldest of the six kids and is some kind of flawless child, participating in athletics, basketball, football, baseball, songwriting, photography, filming and more. We don’t know how he would find time in his schedule to gamble but if he did we would be sure he would be a table game man, most predominantly poker or blackjack. Since poker requires you to stay cool, calm, and collected, much like the man himself, we believe Greg could pull off a steady poker face. He wouldn’t be that great at getting others to fold, since he is quite the honest man, however he did have a crack at his sister (step-sister still counts as incredibly weird in our eyes) so he could pull off quite the devious poker plan. With such self-confidence he might be better off dabbling in blackjack as the best player can only pull off a good strategy if they execute it with confidence. Additionally, Greg would have been able to learn the first ever basic strategy for blackjack since Edward O. Thorp brought out his book Beat the Dealer in the 1960s, and we bet he could’ve memorised it all since he was as good academically as he was athletically. Standard blackjack titles and Texas Hold’em would probably the Greg’s favourite games when entering a brick and mortar casino. Alice Nelson is probably the most loved character. She was the housekeeper to Mike Brady and his first wife, but stuck around when he remarried to Carol and is currently the entire clan’s housekeeper and we think naysayer. Alice has the best sense of humour out of them all and has a strong sense of strength and determination to her. That’s why we think she would make the best craps player and since she’s always doing her back and which makes her immobile we wouldn’t be surprised if it was just an excuse so she could roll those dice instead of mopping the floors. Craps is an intimidating game and players need a ballsy attitude, so Alice is obviously the perfect player. Players make wagers depending on the outcome of a pair of dice and the game is incredibly fast moving. Since we all know Alice is willing to go the distance, with added determination, she is a natural Craps player. Additionally, since she is a very intelligent woman so she would most likely place the best bets in craps which is on the six or eight to win or lose, as the house edge is 1.52% to win, and 1.82% to lose, making it these bets worthwhile in a game of craps. If we were to shadow anyone from the Brady Bunch to a craps table, it would probably be Alice. Mike Brady is the father to the three boys and stepfather to Carol’s three daughters. His first wife died so he got remarried to Carol and is ultimately the leader of the Brady Bunch clan. We can see Mike being the ultimate gambler, as he has made quite a few risks throughout this series with his career as an architect. He is extremely respected in his town as well as being quite sophisticated. Since he regularly dons a suit we can see him channeling James Bond, after reading the series released in 1953. We all know Bond’s favourite casino game is baccarat, so we expect Mike’s to be the same. He’s all class which is a product of believing in a strong sense of ethics (note the episode he refused to take part in a television advertisement because he didn’t believe the product was the best when he had to say it was) and knows that the banker offers the best odds. We think Mike would make a sneaky killing on baccarat to pay for all the family vacations they take. There are a few versions of baccarat available but we think he would play Punto banco, since it is the main title at land-based casinos. The rest of the Brady Bunch aren’t quite old enough to gamble, though we think when Jan comes of age she would definitely play exactly what ‘Marcia, Marcia, Marcia’ plays. The question is, however, would the Brady Bunch play at a land-based casino or online, given the opportunity? Playing online is a lot easier than playing at land-based casinos in terms of accessibility, payment methods, and gaining important information such as the house edge. We imagine if Carol and Mike could play online they would. However, land based casinos offer a social atmosphere which would most likely be more suited to Alice and Greg. Online casinos do offer a better house edge than their land-based counterparts which does make them incredibly appealing, however they are determined by a computer generated result so if players aren’t playing at a trustworthy online casino they can fall prey to having their money stolen. Additionally, some players prefer the human element determining the outcome. Both online casinos and brick and mortar venues have their pros and cons and ultimately it comes down to what the person wants in terms of their playing experience thus is how we came to the conclusion that the parents would enjoy playing online while Greg and Alice would rather get amongst the crowds. Therefore, when deciding to play online or at a land-based venue ensure you weigh up the pros and cons in relation to what you think would make your gaming experience the most enjoyable.